Also, this idea confirms my believe that the frowny face is the funniest thing ever. While your drawing quite aptly depicts malaise/melancholy, just the play on words brought the mental picture of a collie dog with a melon body. Funny how the mind works... or doesn't when some diabolical person is eating your brain. Aaaah zombies!! Actually, that would've been awesome - a collie dog with a melon body...but this is awesome too. And question - how would Sean Connery say 'zombies'? 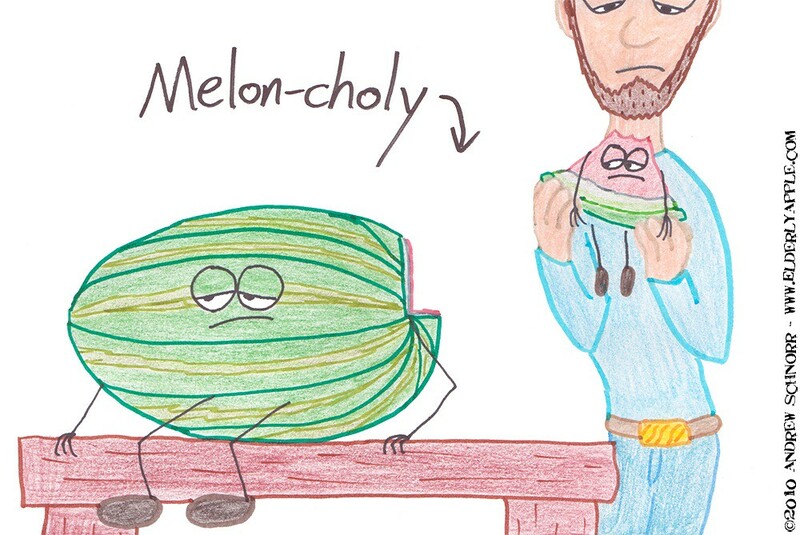 and i'm pretty sure that dude's not sad because he's eating the sad melon; it's because he realized he has an amish beard.